Born to an acupuncture family, Dr. Woo Shin partakes the heritage of acupuncture practice of three generations. His background in acupuncture gives Dr. Shin an unparalleled level of expertise, experience, and an inherited sense of healing. His rich experience of acupuncture and Chinese herbs since his childhood enables him to make accurate diagnosis, not only through visible symptoms, but also through highly trained pulse and tongue reading techniques as well. This allows him to create extremely personalized formulae for both acupuncture and Chinese herbs. Emphasis is placed on a holistic view and individually customized treatment in his healing methods. A holistic approach to treatment signifies the perspective of importance in the whole rather than focusing only on the visible signs. A patient with a fever may have developed the fever for a variety of reasons – likely causes can be generated from the issues in the heart, liver, spleen, or other body organs. Rather than prescribing just a fever reliever, Dr. Shin, following the holistic approach, would seek to find the main cause for the well-rounded health of the entire body. Not only is he an exceptionally skilled acupuncturist, he is a firm believer that compassion is the beginning of all treatment. This belief leads him to extend his healing hands past all borders, reaching to those who would need him most, as he has in Nepal and Mongolia. 2010 - Found large orange-sized tumor, lots of pain. Fragile health; would collapse incapacitated with high fevers with minor stress. 2011 - Began acupuncture and herbal regime with this doctor. He also gave me herbal pellets to keep me on my feet during the fever/fainting spells; those pellets work within minutes. He really knows his stuff. Tumor shrank to a small orange-size. Health began to improve. Returned to the workforce, and tapered off on the acupuncture. 2012 - Tumor golf-ball sized. Much healthier, barely taking herbal medication. Many western doctors warned that the tumor would only grow the longer I wait for a surgery. I took a chance with this doctor, and 2 years later, I’m clearly the winner. Not only did I avoid taking toxic meds and going under a knife from which I would need to recover, my health strengthened with his holistic treatment. My fevers, fainting, and constant pain went away. I have my life back. 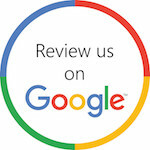 Please show us your support by leaving us a review on Google! We would appreciate it very much. We thank you again for being our wonderful guests at Woo Shin Acupuncture in Federal Way.